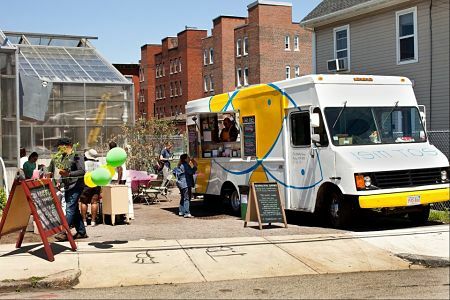 Greenway Mobile Eats launches their spring season beginning on April 1, and they've announced their food truck line-up. Looks good. You'll find old favorites like Mei Mei and Chubby Chickpea, plus new vendors like Stoked pizza (run by Letters to Cleo's Scott Riebling). Get out there and truck it al fresco! Send tips about restaurant openings and closings, and other news and information.